You are here: Home / Uncategorized / How often should you wash your car? There is no definite answer on how often should you wash your car. But it is certain that regular maintenance is alpha and omega. It is obvious that you have to wash car with thousand of km´s a month more often than garaged and seldom used one. During winter, you should wash it mostly because of aggressive road salt. In summer because of flies and insects. If the vehicle dirty from insects is not cleaned properly or at all, because of direct sunlight, insects can be imprinted to paintwork – in that case you can only clean it using mashine polishing. Also in case of longer trips, it is advised to wash them off. Regular exterior/interior cleaning is the best way to keep your paintwork condition and car´s image. Clean vehicle is less contaminated, behind door spaces and hinges are almost without grease. Last but not least, buyer will be impressed if the vehicle is on sale. https://kvdetail.sk/wp-content/uploads/2014/11/fotka-5-3.jpg 1200 1600 Andrej Korbel https://kvdetail.sk/wp-content/uploads/2017/12/logo-kv-detail-hand-car-wash-300x138.png Andrej Korbel2014-10-28 21:17:432018-01-22 16:52:19How often should you wash your car? 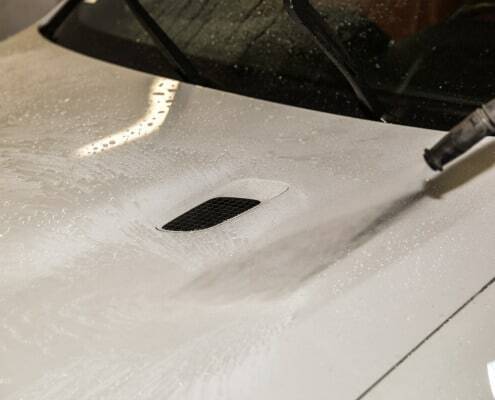 Why should you deal with paintwork decontamination? Car waxing before winter or over the course of the year?